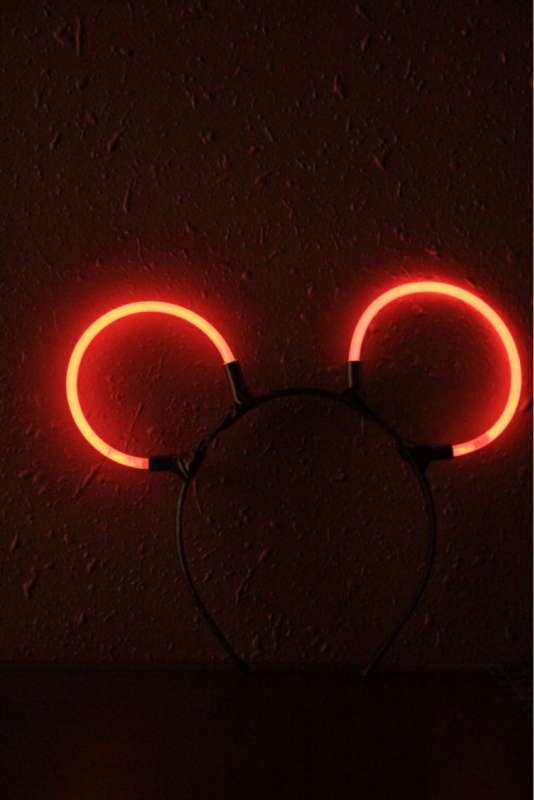 Disney Craft: Make Your Own Mickey Glow Ears! When we visit the Disney parks, we go with a budget that accounts for some souvenirs. It's pretty easy to stick to these days, but when my kids were small it was tough. They wanted everything and quickly learned how to be a little more choosey. One of the biggest hurdles was anything that lit up at night. As if the place wasn't magical enough, when things start to glow it's Disney at its finest. I'm here to show you how you can make your own Mickey glow ears for less than three bucks. Budget and magic intact! 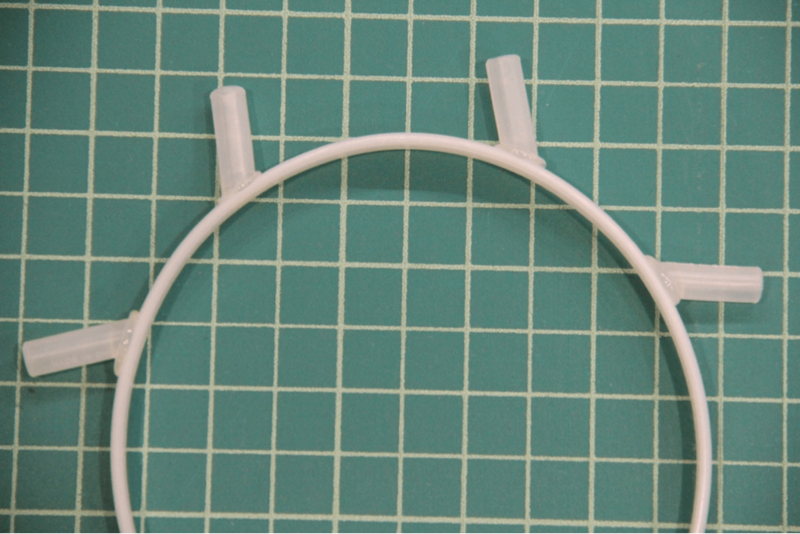 You'll need a plastic headband (1/4 - 1/2" wide), a package of glow stick bracelets (at least 4), a roll of black electrical tape (found at any hardware or home improvement store) and a glue gun. I spent $.79 on the headband, $1 on the glow sticks and $.97 for the electrical tape. That means I could make one of these for $2.76, which includes an extra set of glow sticks and plenty of tape left over. 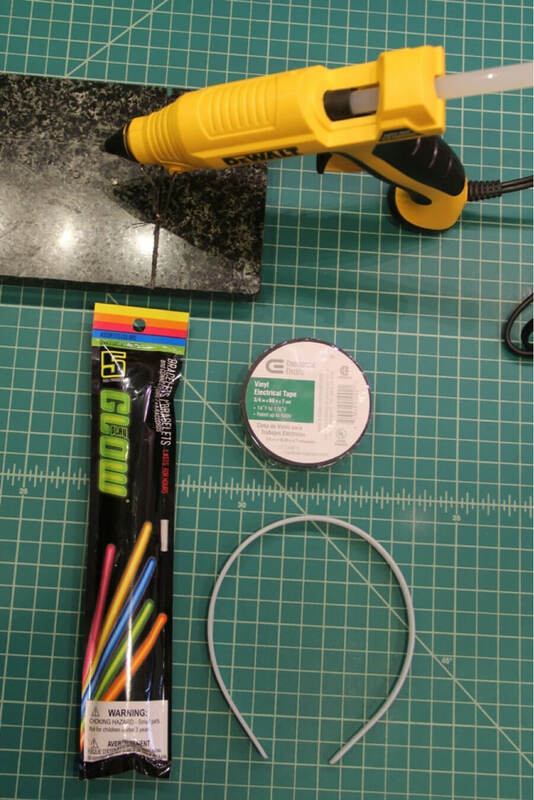 Remove four of the small tubes used for connecting the ends of the glow sticks from the package. Cut one end of each at a 45 degree angle. 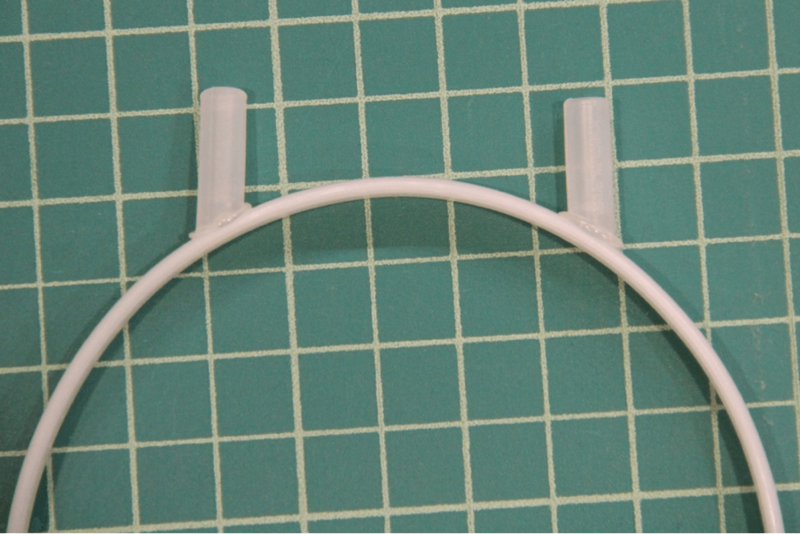 Measure 1" from the middle of the headband and make a mark on both sides. Hot glue one of the tubes on the spot with the point facing downward. Go heavy on the glue. Make a mark 1 1/2" from the center of each tube. Glue the other tube at that spot with the points facing upward. Allow the glue to cool completely. 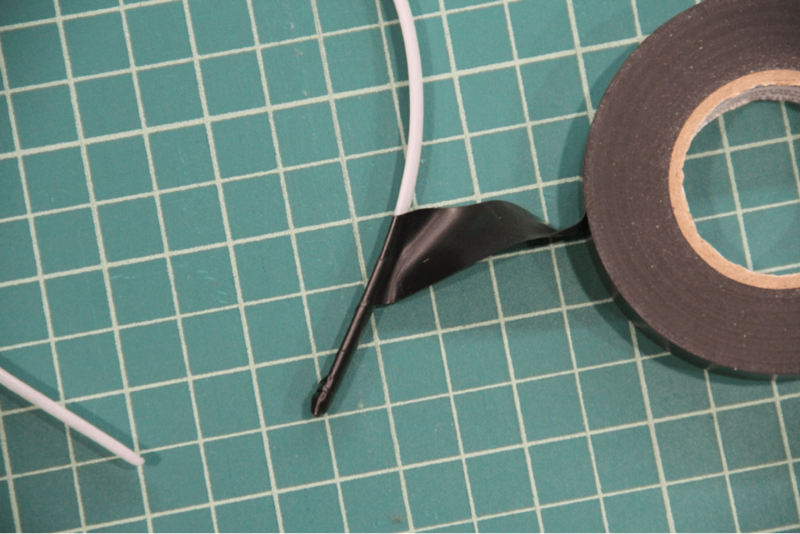 Starting from the bottom of the headband on one side, begin wrapping with the electrical tape. Start just past the end and fold the end up so subsequent wraps cover it. Hold the tape at an angle and stretch it slightly as you go. Pull it gently around the tube ends. Cut off shorter pieces and wrap each individual tube. Slide a glow stick bracelet end into each tube. When it needs to be replaced, carefully remove the used glow sticks and insert new ones. Mine stayed put well, but you might want to throw in the leftover electrical tape in case you need to secure a tube. Now you can spend your light-up Mickey ears savings on something else in the park — churros, anyone? We hope you've enjoyed this tutorial for make your own Mickey glow ear! 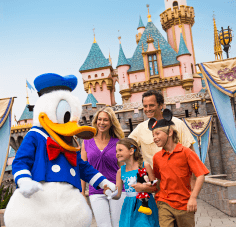 Check out all of our Disney crafts before your next trip or just to bring a little more everyday magic to your life! 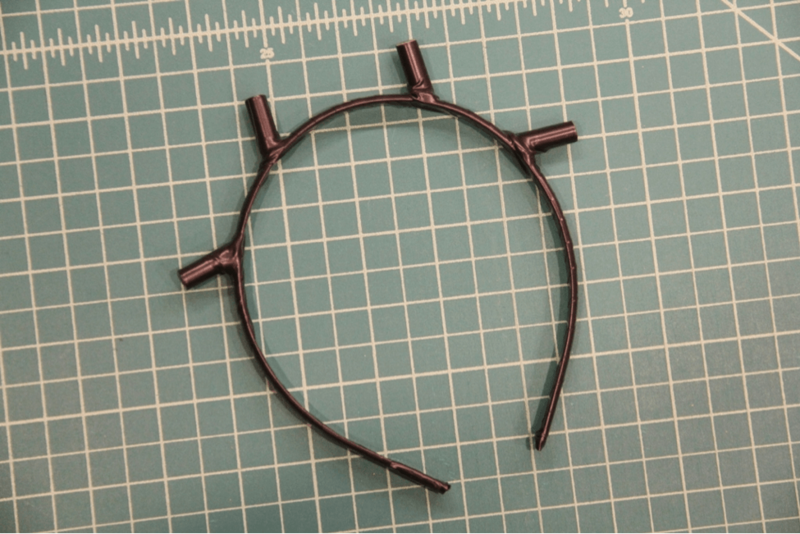 I did something similar.q1' From the center of the headband I measured 1 1/2 inches and hot glued a connector piece straight across then wrapped it with a small piece of grosgrain ribbon. Made 30 in 45 mins. Made it for cismic bowling with my daycare kids. Couldn't you just spray all that or buy black head band? Do you break the glow stick so it glows before you put it on headband? Or do you wait till the day you wear them to break stick? I took this idea and ran. I bought several sets of headbands/3 in a pack, a pack of 20 glow bracelets, and electrical tape 100 yards all at dollar tree. I spent $9 and have enough to make 20 headbands. Dollar stores are the key to making this a super inexpensive way to make mouse ears. Wow. Brilliant. Thanks for sharing. This will be a fun project to do with kids. What a brilliant and ingenious idea!